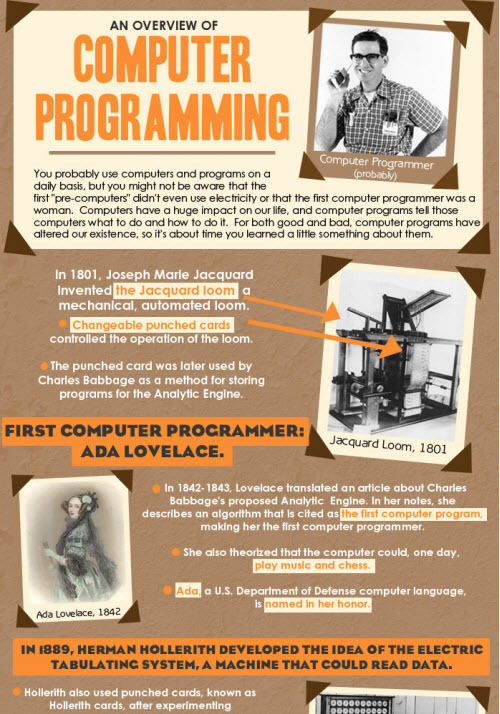 The Origins Of Programming: An Infographic | OhGizmo! By David Ponce on 09/13/10 • Leave a comment! When you’re about to post an infographic that does all the writing for you, what’s the point in saying more than, well… “here’s a neat infographic on the Origins Of Programming”? Click through for the full graph.